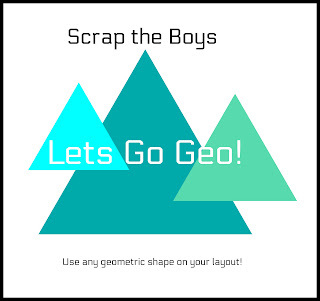 This layout has been prepared for Scrap the boys challenge using A2Z Scraplets Amazing border word and chain mesh texture 8x8 inch. This challenge was about using geometric shapes and the A2Z Scraplets chain mesh chipboard matched my Couture Creations die, Kaisercraft stamp and Kaisercraft and In my Minds Eye pattered papers which I've teamed up here. I prepared the A2Z Scraplet chain mesh by cutting it into a few pieces. I still have quite a bit left over to use in another layout. I coated the pieces in patina paste and sprinkled blue micro beads into the paste. 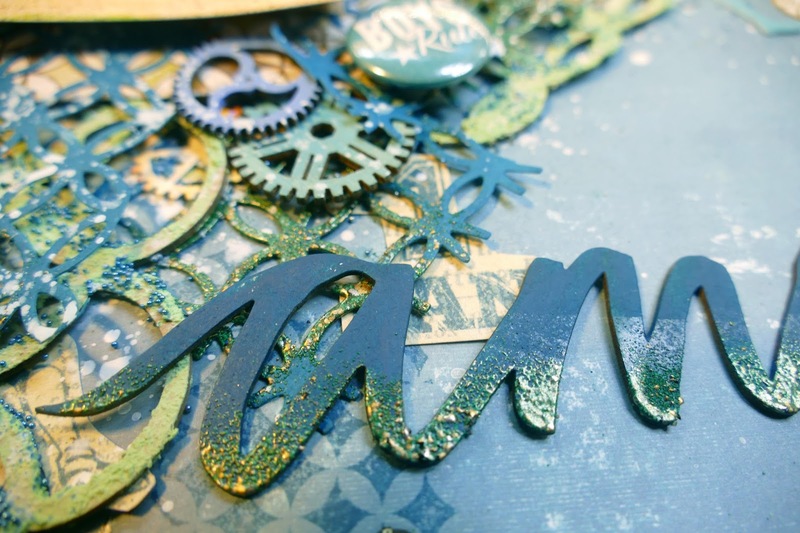 My A2Z Scraplet Amazing word border which I've used as a title was painted in teal acrylic paint. 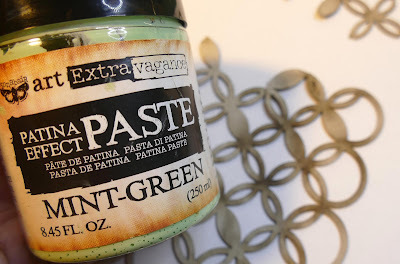 After drying, I applied Versa Mark ink to the base of the letters and sprinkled Stampendous Hunter Aged distress embossing powder, then heat set. 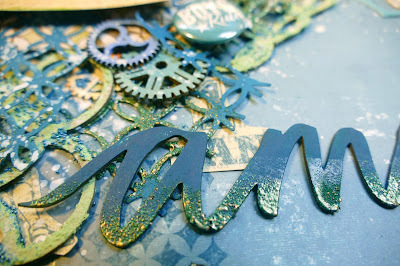 The background to the layout was made by stamping using a Kaisercraft stamp "Morocco" and Versa fine ink in Teal Zeal. I then fussy cut some Graphic 45 images and glued these to my page. 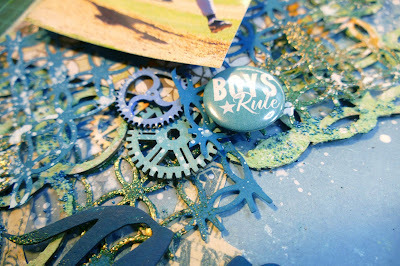 I die cut cardstock and applied embossing powder to the die cuts. I also used some baseball rub-ons to my layout. I splattered paint over the completed layout and applied additional embellishments including Coco Vanilla flair and veneers. I love the colours of your layout! The photo is Amazing! Thanks for joining us at STB! Your layout Looks like fun! I love your Background and the Colors, too. Thank you for joining us at Scrap The Boys! Um, it is quite a spectacular layout. I can't say much else :) Thanks for joining us at STB. Anne this is just so amazing. 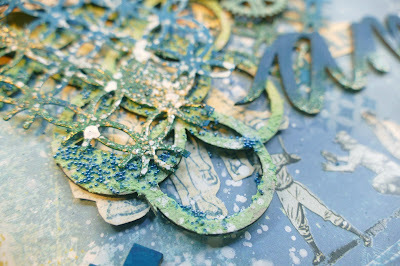 Love everything about this layout, the colours, the design, the texture, your mixed media perfect! Thank you for joining us this month at STB. Oh wow - I love the energy flowing from the photo right across the layout. Fantastic work. 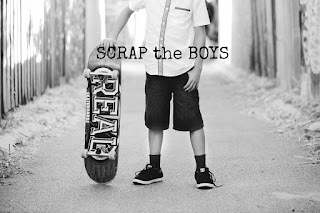 Thanks for joining us at Scrap the Boys. Love the texture to the background. I love your details, background and everything! Awesome! 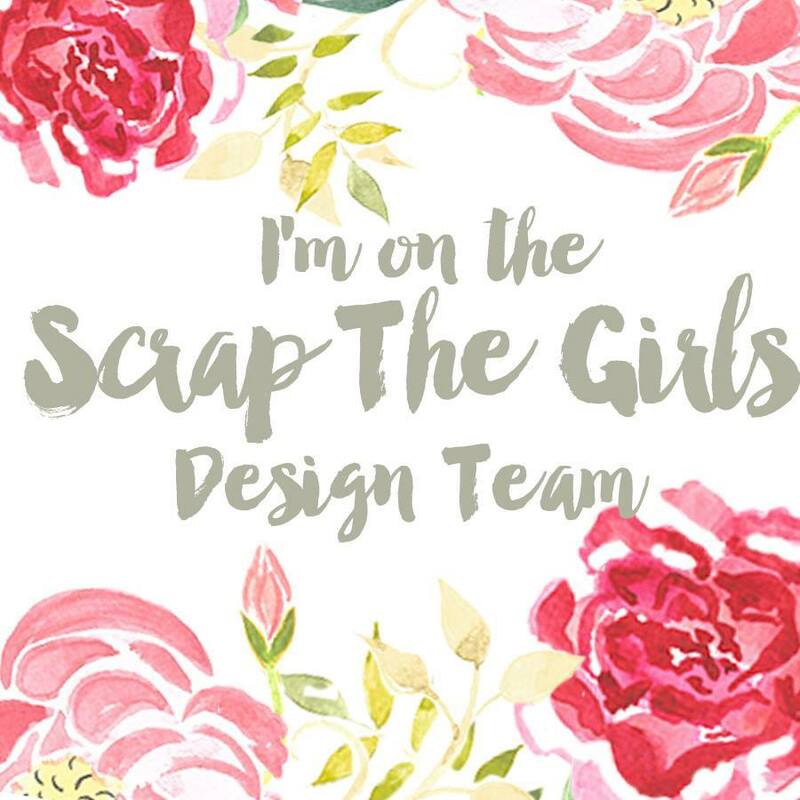 Thanks for joining us at Scrap the Boys!! Absolutely gorgeous! I love all the details and the colours and the photo! Thanks for joining us at STB this month!